Court of Appeals for Veterans Claims law is made by Full Court – not single Judge – decisions. When it comes to the binding effect of decisions of the Court of Appeals for Veterans Claims (aka, the CAVC), there are 2 types of decisions: precedential and non-precedential. In the law, a precedent is a very specific thing: it means that the lower courts – or in the VA Claims system, the Board of Veterans Appeals and the VA Regional Offices – are bound by the court’s decision. A non-precedential decision affects only the case in which it is issued: the court’s “holding” – or legal conclusion – impacts only the case in which it was issued. While not having precedential value, these cases often teach us the reasoning that the Court will likely follow in deciding a similar fact pattern, and as such, allow the savvy Veteran or advocate an opportunity to factually “set up” a case for a greater likelihood of a win at the CAVC (or to lay the predicates to create an opportunity for a viable appeal to the Federal Circuit Court of Appeals. The Court of Appeals for Veterans Claims issues a couple dozen or so precedential opinions each year. Many of these decisions have a big impact, and so they get more coverage in the Veterans Law community. These “precedential decisions” are how Court of Appeals for Veterans Claims law is written. There are, however, a series of CAVC decisions that got “lost in the shuffle”, but that provide a lot of POWER to Veterans in their Regional Office Appeals and BVA Hearings. 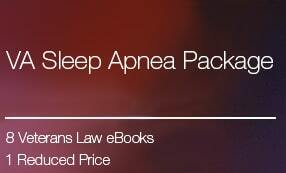 Today, I’d like to take a look at one of those cases — Frankel v. Derwinski, 1 Vet. App. 23 (1990). Why is Frankel important? Because it explains why the CAVC issues – more often than not – single judge decisions. The issue before the Court in Frankel had to do with the legal significance, if any, of the religious marriage ceremony in determining eligibility to death pension benefits as the surviving spouse of a veteran. But you don’t need to know all that to understand what the Court is doing. Here is what was really going on in the Frankel case. 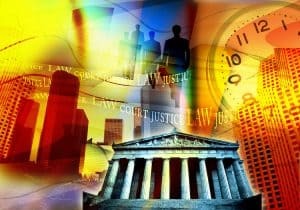 The issuance of a thorough and citation-filled opinion is incredibly time-consuming for an appellate court, and so, in the interest of becoming more efficient, Federal courts frequently issue orders without opinions. In anticipation of a heavy case load the Court has implemented a case management system with a central legal staff assigned to evaluate the cases as soon as issues are identified and relative simplicity or complexity can be determined. This process, sometimes entailing a personal or telephone conference between a staff attorney and the parties, will make it possible to treat a considerable number of cases without full briefing and oral argument. 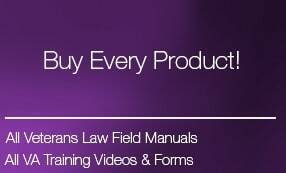 To this end, the initial staff evaluation and recommendation can lead to expedited disposition on truncated memoranda or motions for summary disposition and responses in lieu of briefs. Frankel lays out the criteria by which the Court of Appeals for Veterans Claims would issue these Summary Dispositions (or what we now call single judge decisions). Criteria the Court Considers in rendering a Single Judge verse a Full Court decision. If all of the so-called “Frankel” criteria are met, then the Court of Appeals for Veterans Claims can issue a “summary disposition” or a single-judge decision. If not all of the criteria are met, then the CAVC may issue a full court, or precedential, decision. Contrary to what at least one BVA Judge thinks (see below), single judge decisions are no less binding than full-court decisions. A court order is a court order, after all. In any single case, the BVA is bound to follow all CAVC Decisions, whether they are single-judge or full-court decisions. The big difference is this: a single judge decision only (typically) applies to the singular case and the singular set of facts in the case in which it was issued. Full Court decisions affect every Veterans’ case, unless limited in the holding by the Court. If the issue in your case meets all of these criteria, then you are entitled to a single judge decision. Single-judge decisions from the CAVC are often issued in 4-6 months or less. In theory, this gets the Veteran closer to the benefits that they are entitled to. How long does it take to get a full-court decision? All bets are off – they can take 1-3 years – more or less. 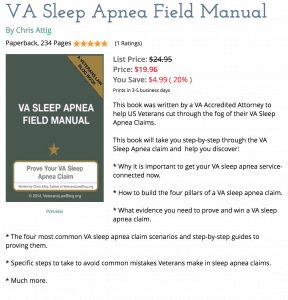 Court of Appeals for Veterans Claims law: is there Rebellion Brewing in the BVA? We all recognize that in practice, moreso than in law, the BVA acts as a lower court, and the CAVC as a higher court. 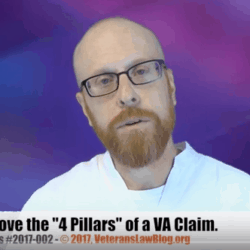 In deference to the Rule of Law and our Constitutional System of Checks and Balances, the BVA should simply implement legal precedent issued by the Court of Appeals for Veterans Claims. However, I have seen more than one BVA decision that – in my mind – seems to undermine this core concept of the Rule of Law. In short, a BVA Judge (i.e., an employee of the Executive Branch), had an issue with a particular CAVC Order (i.e., a directive from the Judicial Branch) ordering the VA to service-connect a condition the BVA had previously refused to service-connect. The BVA – in my read of the remand decision – issued a “yeah-but” explanation why the CAVC was wrong. “Because the Court of Appeals for Veterans Claims has so ordered, the grant of service connection for hearing loss effective October 31, 1957 is restored…the Board presently observes that the Court has returned this matter to the Board via a memorandum (single-judge) decision. Such a disposition is not a binding interpretation of the applicable law. Further, because the Board is cognizant that the RO must implement the decision, the Board is compelled to attempt to analyze the Court’s decision in order to ensure that, to the extent possible, the RO and future readers can understand it. The discussion is provided below.” (emphasis is mine). 3) The BVA is going to re-analyze the case, so that the Regional Office can use its analysis in building up the record to avoid similar issues in future cases. It is completely possible that I’m misinterpreting what the BVA Judge was communicating in that language; I have asked several judges and Board staff if they view single judge and full court decisions differently or, in some way, having more or less gravitas. I fear, though, that someday soon, someone at the BVA is going to run with the theory outlined above, and try to reject a CAVC Order because it came from a single judge. Mark my words. You heard it here first.